It’s an honour and a great pleasure to be on board of this new era of EBC as a member of the Executive Team! New times to endorse the mission and vision of the technical and scientific side of brewing industry, with a particular focus in inclusivity of the new and small brewers. I would like to highlight the importance of our events and working groups to reach most of EBC purposes, as knowledge creation and exchange, dissemination of brewing knowledge and promote a valuable network in the brewing scientific and technical community. Firstly, I’d like to thank to all of you who actively contribute to the last Symposiums: ”Trends in filtration” in Brussels and “Recent advances in hop science” in Nüremberg, they were a success thanks to the passion and knowledge of the Brewing Science Group during the programmes elaboration, to the Scientific and Technical community contribution with posters and lectures and to the high qualified attendance. 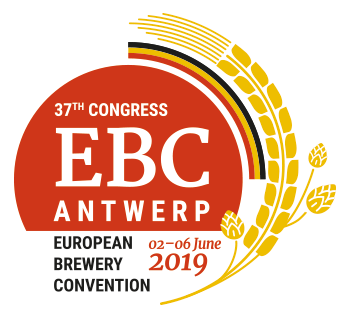 Therefore, I’d like to encourage you to participate in our next EBC Congress, 2-6 June 2019 in Antwerp, registering as soon as possible and submitting your abstracts for lectures and posters, it’s going to be a new challenge as it will be take place together with the 2nd The Brewers of Europe Forum. By the way, call for oral presentations abstracts is closing soon!!! Last but not least, I’d like to emphasize the magnificent and rigorous job of the EBC Analysis Group and the corresponding Sub-committees, which creates and reviews analytical methods together with other publications to be available for the brewing community. A personal remark, from my current position as Director of QA, R&D and Environmentin Mahou San Miguel Brewery, I believe that EBC has a crucial role as a think-tank to guarantee that the brewing industry is one step ahead of the future needs and challenges. I wish you to best while reading the 2nd EBC Newsletter. The members of the EBC Analysis Group, chaired by Lene Bech, met by conference call on 07 September to review progress on the development of new and updated methods, as well as to discuss the Work Plan 2019 (which will include the creation and updates of up to 07 EBC Analytica Methods). Two methods have been submitted to technical editing (Performed by our Technical Editor, Trevor Cowley) before publication on the Hans Carl website: updated method 4.12.1 (Diastatic Power of Malt by Spectrophotometry, Manual Method – currently method 4.12) and new Method 4.12.2 (Diastatic power of malt by segmented flow analysis). Members also discussed and agreed the format of the next physical meeting, that will be held on 26 and 27 November 2018, in Brussels, at The Brewers of Europe’ s House and that can be attended by any expert currently involved in the work of the Sub-Committees. The Executive Team of the European Brewery Convention discussed on the 18th of September several issues on which decisions were taken. The tariffs of the EBC Analytica that will be marketed as of 01 January 2019 was agreed (see later in this newsletter). Members also discussed the current revision of the Manual of Good Practice on Filtration that also covers the outcome of the EBC Symposium on filtration organised in Brussels during The Brewers of Europe Forum in June (see later in this newsletter). Members encouraged the team to continue its work, including on the updates of other manuals in connection with the preparation of the next EBC Symposium (scheduled 2020) and the preparation of new publication of relevance for the brewing sector. The EBC Executive Team will held its next meeting in Nürnberg, Germany, during the BrauBeviale trade fair (see later in this newsletter) where it will review the abstracts submitted in view of the Congress to put together its scientific programme. Members of the EBC Executive Team also discussed the work plan for 2019 which will see the creation and revision of up to 7 EBC Methods, the publication of the updated Manual of Good Practice on Filtration, the revision of another Manual, the publication of a Compendium of laboratory methods and basic quality control procedures for small brewers and the development of a volume on on-trade methods for hops and malt. After 6 years of good services, the EBC Analytica will stop being marketed by Fachverlag Hans Carl and will be exclusively available as of 01 January 2019 on BrewUp, the Knowledge Portal of The Brewers of Europe. The BrewUp website will now be the interface where subscription can be made and where the EBC Analytica will be accessed. The tariffs will remain the same as last year (see box), with one new features: methods can now be purchased on an individual basis! What if I have a valid subscription finishing in 2019? The services associated with a subscription made in 2018 and whose validity runs until 2019 will be continued. Information on the transition process will be shared directly with the concerned customers. When can I subscribe to the new EBC Analytica? It will be possible to subscribe for 2019 as of December 2018 onwards. 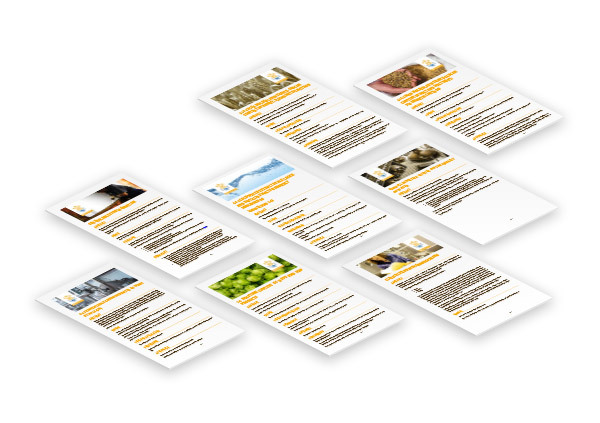 More information on the new subscription process will be shared in the upcoming weeks on www.brewup.eu and on the EBC website. The Institute of Brewing and Distilling (IBD) is a London based international association for the disseminating of brewing technical competence and training standards. One of the highest accolades in the brewing world, the Fellowship, was conferred on the EBC Executive Officer John Brauer, at the recently held Presidential Dinner of the IBD in London. Some previous EBC office bearers, such as former presidents Esko Pajunen and Hilary Jones, for example, have also been elected fellows in the past. In 2017 the EBC set themselves the challenge of looking very closely at revising and updating all their brewing technical literature. In particular, the Manuals of Good Practice were written and published in the 15-year period from 1991 until 2006. A lot has happened since then making a revision essential if EBC wants to stay on the forefront of technical excellence. To coincide with the EBC symposium on filtration which was held concurrently with the Brewers Forum in Brussels in early June this year, a revision of the Manual of Good Practice on filtration was launched. A service provider has reviewed the volume and a first draft was made available to members of the EBC Executive Team a week ago. At the same time EBC is engaged in discussions with Fachverlag Hans-Carl on a suitable design of a printed version. An electronic copy will be made available via BrewUp, most probably within the next 2 months. Winner of the joint EBC/ERAB grant announced! The EBC is pleased to announce that the co-application by Claus Hellerbrand (Erlangen, Germany) and Ina Bergheim (Vienna, Austria) is the winner of the joint EBC/ERAB grant for their project research on “Analysis of the synergistic anti-inflammatory effect of the hop derived beer compound iso-alpha-acids and xanthohumol”. 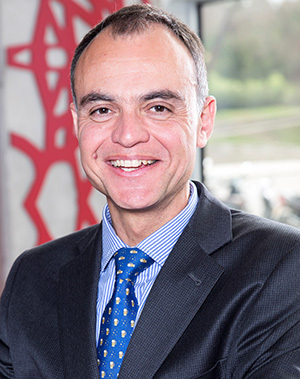 In 2018, the EBC and ERAB: the European Foundation for Alcohol Research, decided to team up to offer an exceptional grant of 60,000€ over two years to a researcher whose application would be selected by a jury composed of brewing scientists and medical scientists from the EBC and ERAB networks. The joint grant aims at bridging the technological and biomedical sciences more closely and at researching beer more extensively. It was open for applications on technological and/or biomedical research into any aspect of the effect of moderate beer consumption on health. The jury had to go through 22 powerful applications to select the best one. 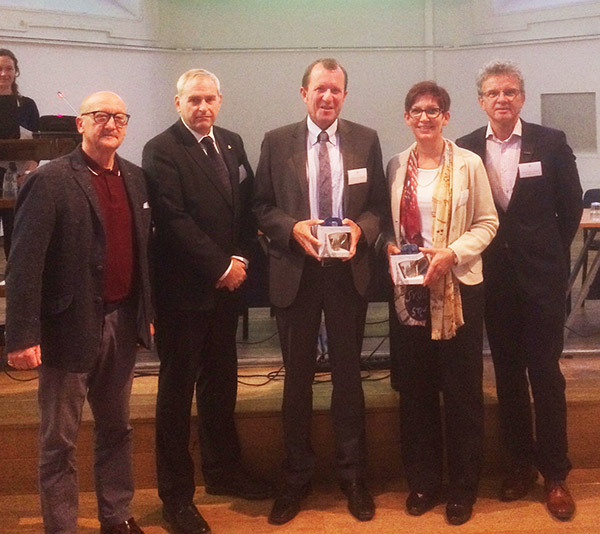 Claus Hellerbrand and Ina Bergheim were officially announced as winners of the grant on 25 September 2018 in Leuven, Belgium, during the 39th IMAG conference where they briefly presented their project. The results of the project are expected for 2020 and both the EBC and the ERAB will inform you about the outcome of this research! Parallel to the Brewers Forum’s diverse program, the EBC Filtration Symposium took place. The filtration experts’ meeting was opened by EBC President Tiago M. Brandão, who faced a Packed hall. The next two days were dedicated to new filtration methods and a lively exchange of experiences. Former EBC President Stefan Lustig, who gave a comprehensive overview of beer filtration, including product quality and cost information, started off the series. Not only classic diatomaceous earth filtration but also new types of filtration such as crossflow membrane filtration were dealt with. This was followed by a panel discussion on “Crossflow Filtration – Future Developments and Current Solutions” under the direction of Carsten Zufall (Cerveceria Polar. Wolf-Dietrich Herberg (GEA) and Rod White (University of Nottingham) presented cross-flow filtration using ceramic membranes and current research approaches and projects to identify filterability in cross-flow filtration. Thereafter, a lively discussion arose around the use of membrane filters. 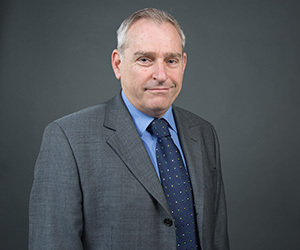 Stefan Lustig provided information on what to consider when commissioning new systems and also provided initial solutions for poor filter service longevity. Rod White showed that iodine value is often not meaningful and that glycogen is merely an indicator of poor filterability. The use of stabilizers on the crossflow membrane poses a problem requiring an understanding of the use of silica gel or tannin on the membrane and its impact on filterlife, White said. The second part of the Filtration Symposium continued with Jörg Zacharias (Krones), who spoke about critical factors influencing precoat filtration using alternative filter aids. Afterwards, a discussion about the filtration of traditional beers was hosted by Steve Livens (BBPA). Sturlaugur Jón Björnsson (Olgerdin) and Roger Ryman (St Austell Brewery) introduced their respective crossflow systems and gave insights into the acquisition and decision-making process. ln addition, they showed the advantages of membrane filtration to enhance product quality, but also highlighted problems in membrane cleaning. The final block of talks began with depth filtration of beer (Jürgen Ebert – Zurich University of Applied Sciences). Afterwards, the future of beer filtration was discussed in wrap-up mode under the guidance of Carsten Zufall, Reiner Gaub (Pall Life Science), Pierre Adam (AB lnbev), Gerl De Rouck (KU Leuven) and Esko Pajunen (former EBC President), who shared their perspectives on developments in this area, and also touched upon future requirements for world-class filtration. Whereas the EBC symposium 2010 which was held in Wolnzach, heart of the Hallertau hop growing area, was dominated by “classical” hops and brewing related topics, this one was characterised by a shift towards innovative brewing and hop addition practices. 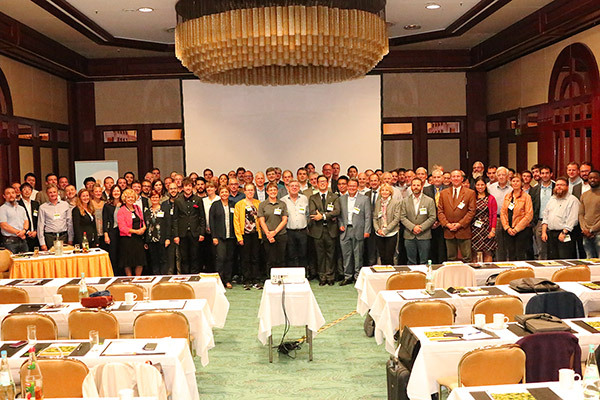 This being a joint initiative by the Bavarian Brewers Federation and participation by the Society for Hop Research, the chosen locality for the symposium was Nuremberg. After Tiago Brandão, in his capacity as EBC President, had welcomed the 108 registered delegates on the morning of 10 September, Dr. Michael Möller (Hofbräuhaus München) added warm greetings in his capacity as the current chairman of the Society for Hop Research, a privately funded institution aimed at improving and supporting hop breeding and other hop-related aspects of interest to the brewing sector in Germany. All in all 20 lectures had been invited to contribute to the following sessions: Hops and Beer Flavour, Hop Utilisation, Beer Hops & Health, Hop Breeding and Hop Growing, and Analysis of Beer and Craft Beers. Besides Tiago Brandão, three former EBC presidents participated in this symposium: Prof. Ludwig Narziss, Dr. Stefan Lustig and Esko Pajunen. Lectures were contrasted with two to hop farms visits where, amongst other things, an old English Bruff ® hop-picking machine from 1956 could be seen in the area of Spalt. This town is at the centre of one of Germany’s smallest hop growing areas as the size of the average farm is only a few hectares, or even less, much smaller than the average hop farm in the Hallertau, let alone those in the US. 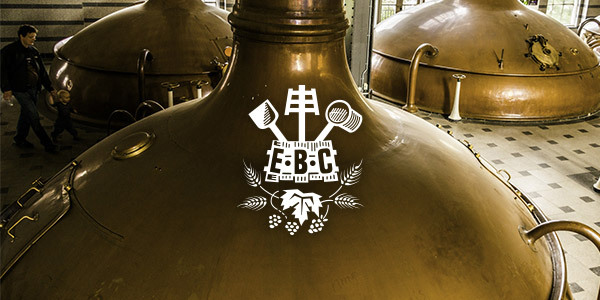 This EBC Symposium has yet again highlighted the contribution that a European association such as the EBC / The Brewers of Europe continues to make in bringing together technical and scientific researchers and brewers. These events, namely concentrating on current advances in one particular field of endeavour, has excellently served the industry in the past and will continue to flourish. Discussions are underway in terms of identifying a suitable range of subjects for future symposia. A detailed account of the scientific proceedings is earmarked for the December issue of Brauwelt international. The EBC Congress 2019 taking place at the same time, in the first week of June next year. Whilst the Call for Abstracts for the Congress is closing soon (30 September 2019), the Call for Posters will still be ongoing until the second week of December. The EBC will only open registrations in early 2019 once the programme is in its provisional form. More information can be found on EBC Congress 2019 information page. The EBC Analysis Group will meet formally in Brussels on 26 and 27 November to discuss the recent advances in the creation and updates of the EBC Methods, to look at current and upcoming international cooperation with the Brewery Convention Of Japan (BCOJ) and the ASBC (American Society of Brewing Chemists) and to review and input into the short-term (2019) and mid-term (2021) work priorities. This meeting will also constitute a good opportunity for experts and members of the EBC Analysis Group to meet, greet and network. Experts of the two sub-committees Beer & Wort and Barley & Malt will also join for meetings of their respective sub-committee to review their own projects, for example the ongoing and upcoming collaborative trials, creation and review of methods in their remit. The December issue of the EBC Newsletter will report on that meeting and its outcomes. Smile Brewing is creating a new specially designed and accredited qualification for beer-entrepreneurs in Europe. The SMILE Certificate in Brewing Entrepreneurship is specially designed to meet the needs of the micro brewing industry by preparing new entrants for the world of commercial brewing. Project manager Michael Ward explains ‘As someone who works everyday with entrepreneurs and business start-ups it was inevitable that we (the project partners) would come in contact with people going into the brewing industry and what we noticed was, more than any other industry, people were going into this business little or no formal training in brewing. We met teachers, engineers, nurses, opticians, plumbers, mechanics… right across the board who were prepared to give up more secure careers to take a chance at a business they are in love with. The SMILE Certificate in Brewing Entrepreneurship is designed to fulfil the skills requirements of the Micro-Brewing sector in the areas of Brewery Operations, Business and Due Diligence. The qualification addresses the fundamentals of brewing, the main business and commercial considerations, and compliance aspects like Health, Safety and Environmental awareness. The partnership has worked together for 2 years to build the accredited SMILE course, and qualification. The website will also provide information about how to achieve the Qualification, which will be awarded upon successful completion of exams, project work and occupational competence validated by witness testimony after a period of on the job experience in an appropriate workplace. The official launch of SMILE Certificate in Brewing Entrepreneurship, by European Brewery Convention and hosted at The Brewers of Europe will take place on 22nd of November 2018 from 18:00 to 21:30 CET at The Brewers of Europe House, Rue Caroly 23 -25, B -1050 Brussels, Belgium. For more details and limited ticket availability, contact SMILE. A compact and informative all-day session on the Monday before the BrauBeviale with 17 international expert speakers! See, feel and taste the difference! 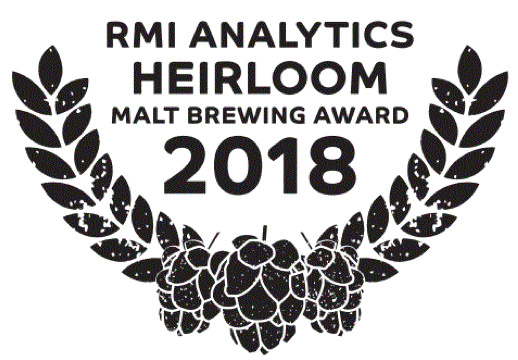 As part of the Symposium, the 10 finalists of the first “Heirloom Malt Brewing Award” will serve a wide spectrum of beers made with heirloom and terroir malts (see list of finalists attached). Website powered by 2B.COM, The Media Agency.